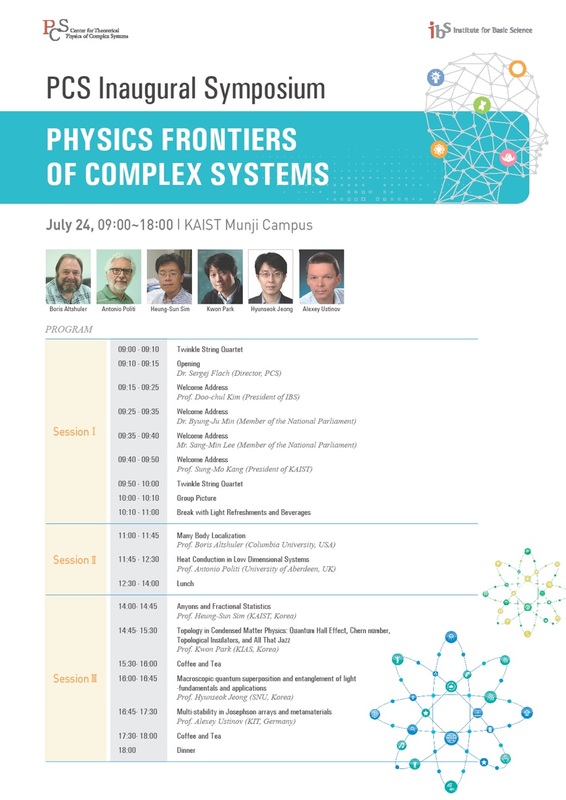 The Inaugural Symposium ‘Physics Frontiers of Complex Systems’ is celebrating the start of activities of the new IBS research center on Theoretical Physics of Complex Systems. Through the Inaugural Symposium, we would like to promote our center as a central hub of Theoretical Physics of Complex Systems in Korea. The invited speakers will deliver welcome speeches for celebrating the Inaugural Symposium and the participating scientists will give colloquial talks.